In this chapter we review sampling issues for stochastic signals. 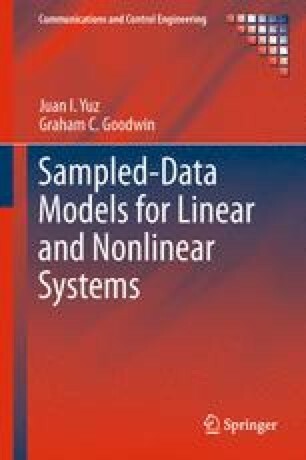 These ideas are used to formulate models for stochastic linear systems. The impact of the antialiasing filter used prior to sampling is also discussed.